Here you need to describe the various features that you would like to have in your "Paternity Leave" like whether it should be an allowanced leave or a non-allowanced leave. 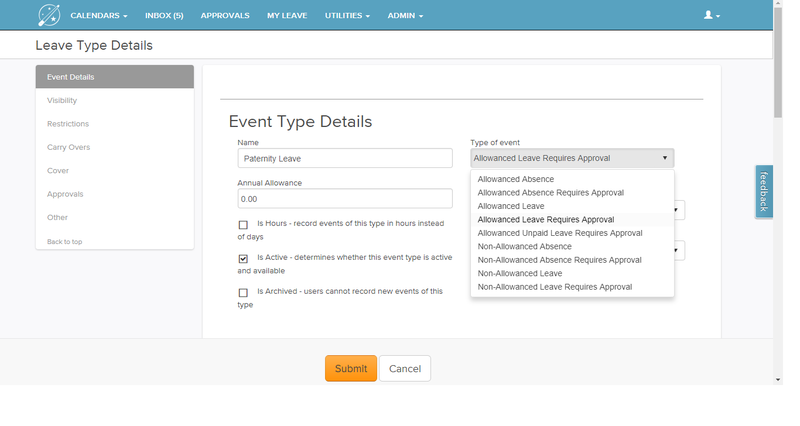 And various other options like "Event Visibility, Restrictions,Cover" can be set here on this page. 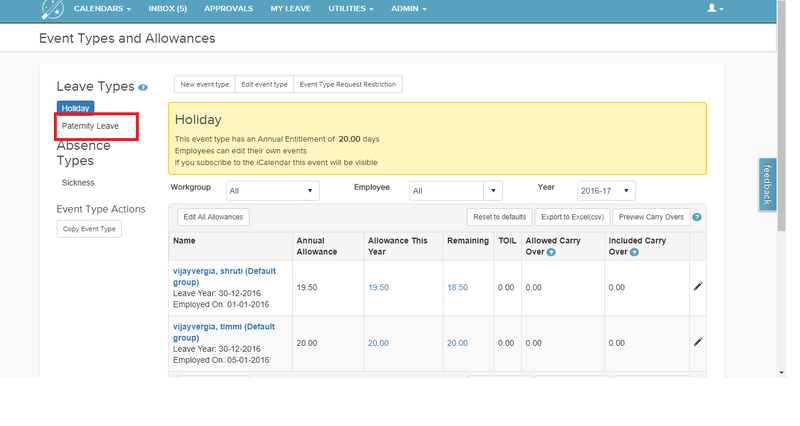 Then any user can request for a paternity leave by clicking on the "Request Leave" button on the home page. 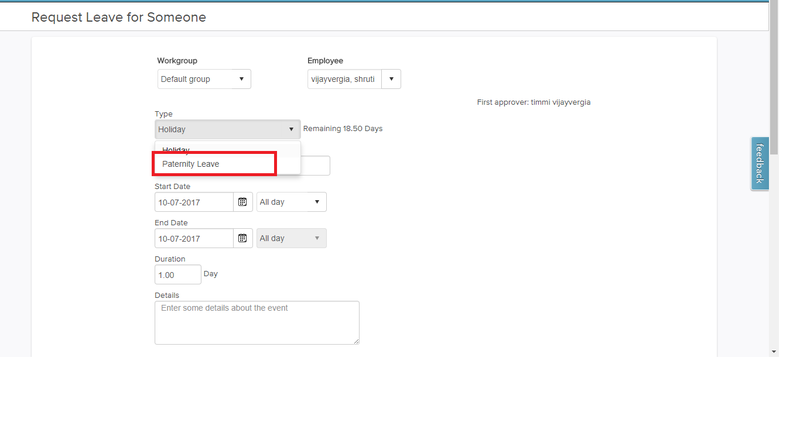 The "Paternity Leave" option would be listed in the "Type" drop down box for him.